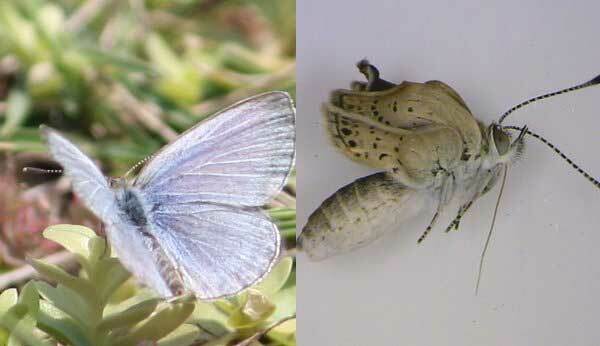 Scientists in Japan have been studying a specific breed of butterfly called the pale grass blue butterfly. Two months after the Fukushima Daiichi nuclear disaster that led to radiation leaking from the nuclear power station, the researchers collected 144 adult versions of that butterfly from 10 locations around Japan. The collection locations included the Fukushima area. When the nuclear disaster occurred, the adult butterflies collected would have been in the larval stage. The researchers found that mutations on the butterflies collected near Fukushima were significantly more common the mutations on butterflies collected elsewhere. Examination of butterflies determined that radiation had caused the mutations in the Fukushima butterflies. The mutations included those of wings, antenna, and eyes. The researchers bred the adult butterflies and determined that mutations not seen in the adults were seen in the offspring. Six months after the Fukushima disaster, the scientists collected the butterflies again at all 10 areas including Fukushima and found that the mutation rate of butterflies near Fukushima was more than double the mutation rate in the butterflies two months after the disaster. The scientists attribute the increase mutation rate to the butterflies eating contaminated food.